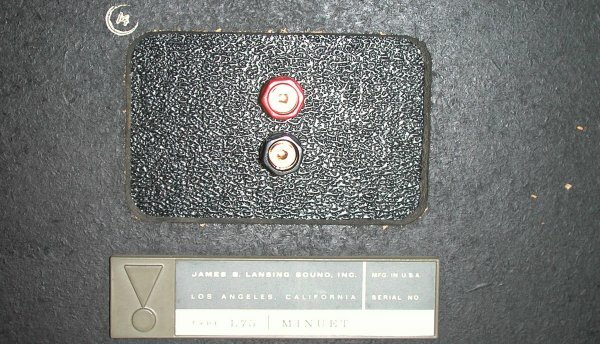 Note: Many JBL models exhibit "reverse" or negative polarity - that is, when a positive voltage is applied to the red input terminal, the cone or diaphragm moves inwards, towards the magnet structure, not outward, as is the industry standard. 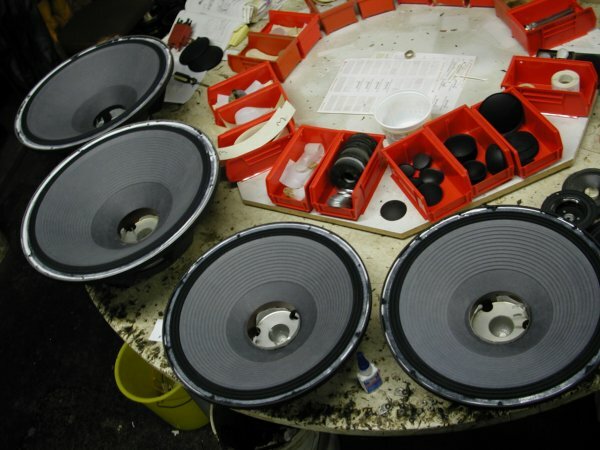 There is a factory document that details this and lists the polarity of all JBL models. 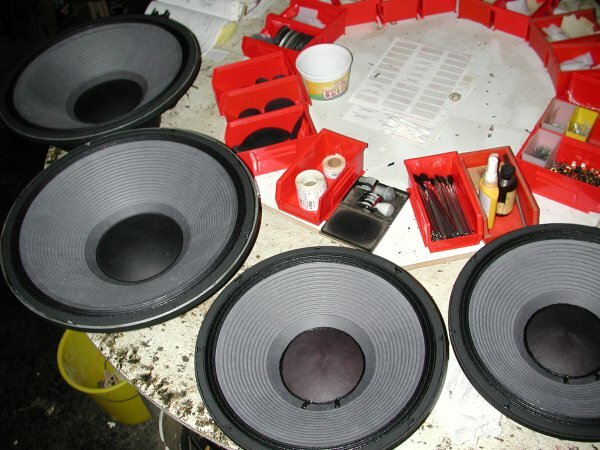 JBL loudspeaker products can be divided into two distinct, but of course blurred, categories: PA products and consumer products. 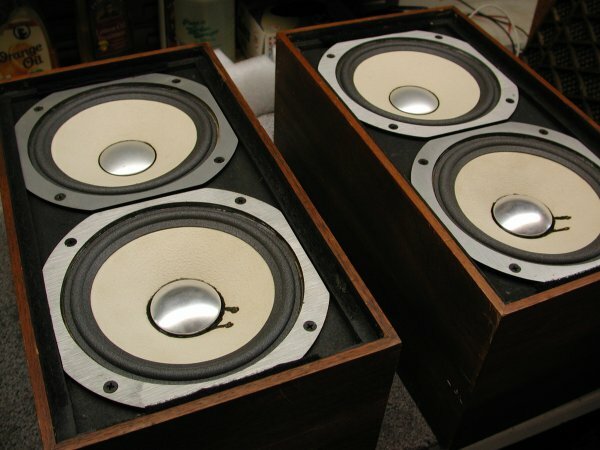 The distinction is blurred not just by people who use PA speakers for enjoyment of music at home, but products that were designed and built for studio use that were also offered in consumer versions. I see a steady stream of PA drivers from local bands and venues. These are high power, high efficiency units that are often run at full tilt for hours on end. Sometimes this is just a bit too much, and they get rotated through my shop so they can go back to work. 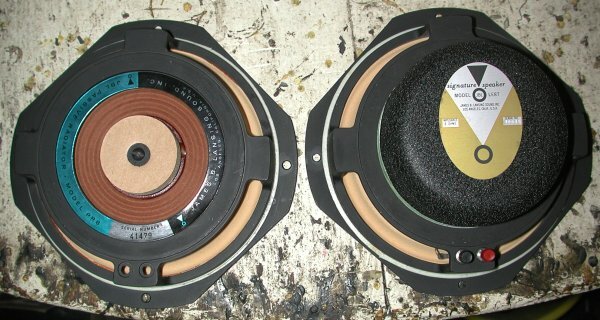 Here are a pair of 2241H 18" and M115-8A 15" (I think) drivers in for repairs - the first photo shows just how far gone they were! 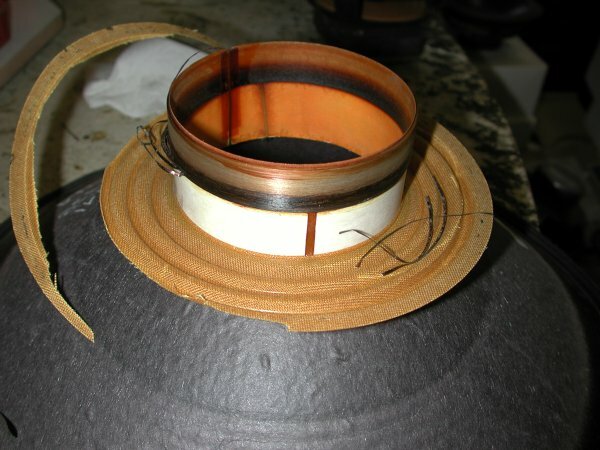 The exposed magnetic gap is taped off while the old cone edge and spider are scraped clean. 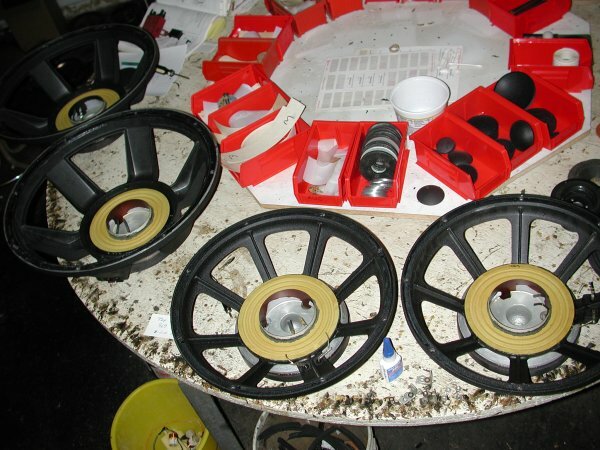 The new spider and voice coil are carefully shimmed, centered, aligned for height with the magnetic gap, and glued in place. 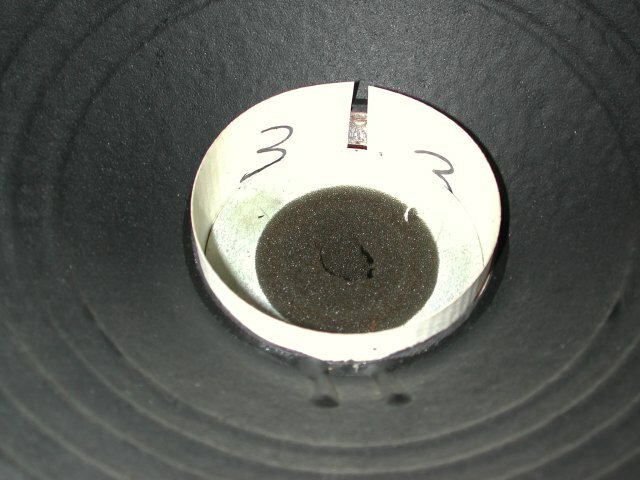 The new cones are carefully glued in place while the voice coils are still shimmed. 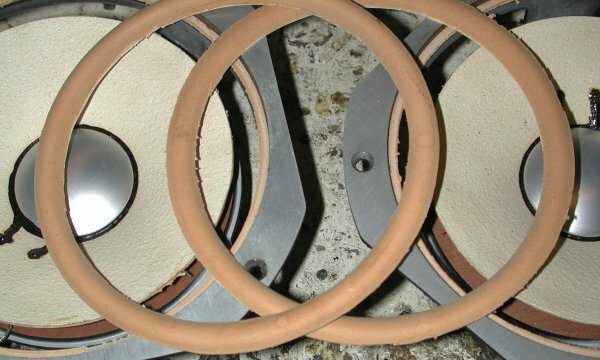 The leads have been dressed to new tinsel, new dustcaps attached, the cloth surrounds treated with a flexible sealing compound, and the front trim gasket is in place. Tested and ready for action! 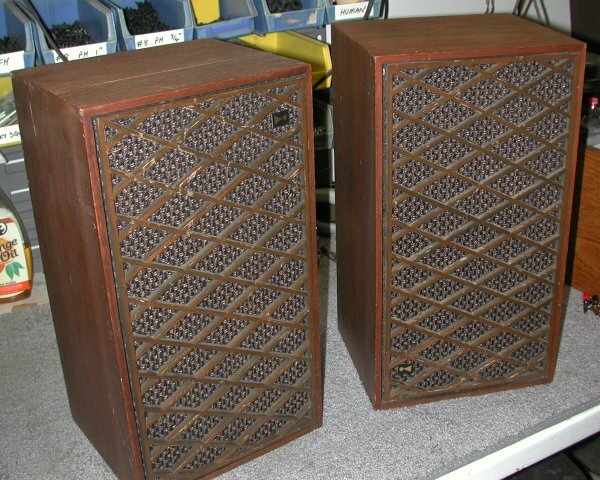 Here is a pair of James B. Lansing "Minuet" speakers I repaired. 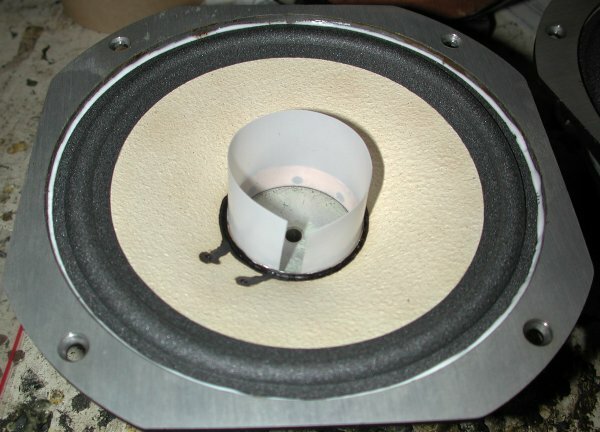 Unlike polyether foam surrounds, which slowly soften, degrade, and fall apart, the "Lans-a-loy" surrounds used in this speaker get so stiff with age that they no longer allow the cones to move. This is a full-range design, with one active and one passive driver. Here they are as delivered by the customer. 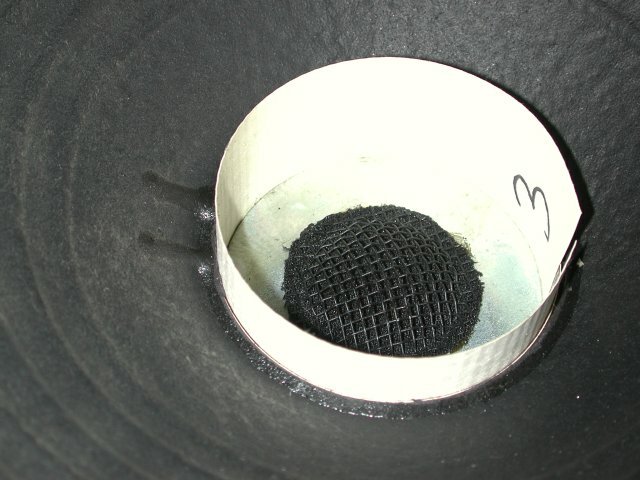 The grills are removed and the problem diagnosed (inflexible surrounds). Here is a gratuitous rear view of these vintage parts. 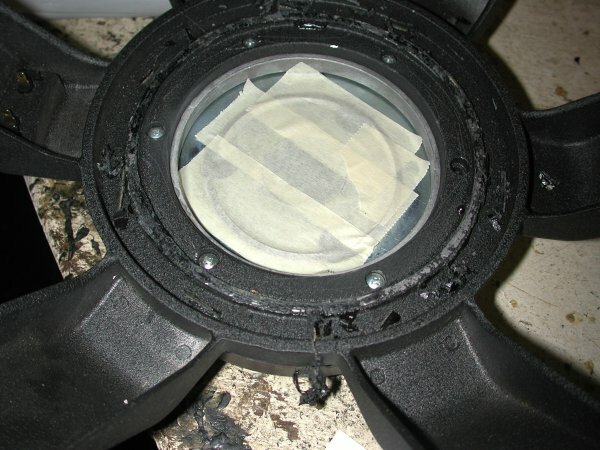 The surrounds were so hardened they came off in one piece. 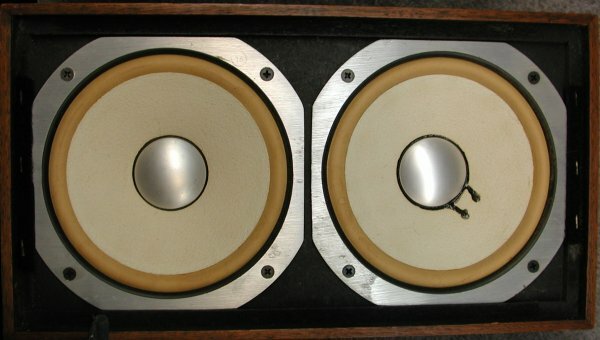 Here is a woofer with the dust cap removed, the voice coil properly shimmed, and a new surround glued on. 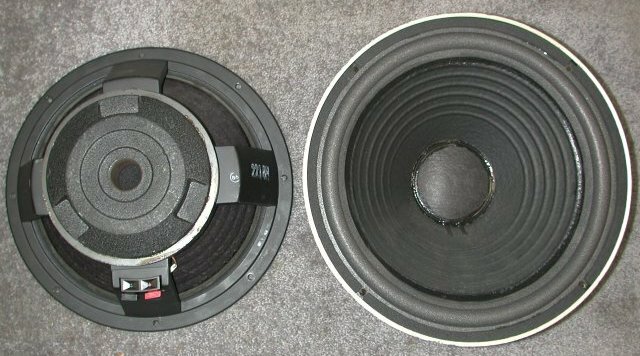 The new dust caps did not come with new closed cell damping foam, so I saved the two pieces to reinstall. While I had them apart, we had decided I would replace the old spring terminals with my binding posts and 1/4" MDF board. The old input boards were saved for posterity. Here is the board and new wires installed from the inside. 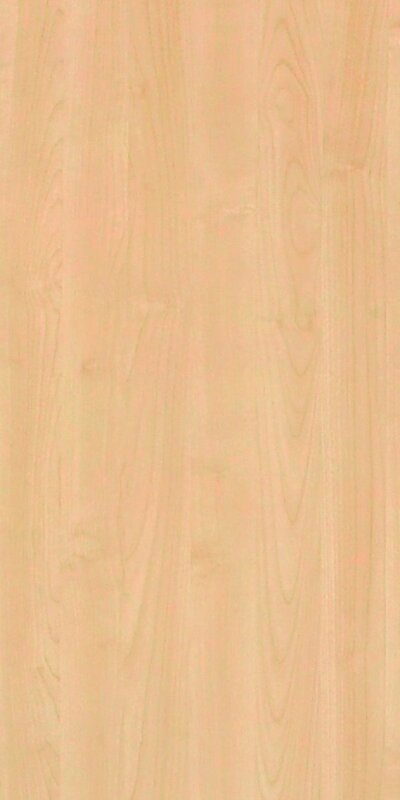 And this shows the new binding posts from the rear. And, finally, reassembled, tested, and ready to go home.